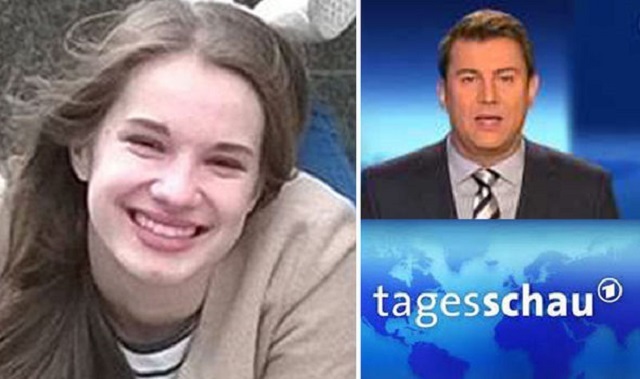 A MAJOR news programme has caused outrage for refusing to report on the arrest of a migrant over the murder of a German teenage girl because the story was “too regional” – despite making headlines around the world. The decision by the TV executives behind Tagesschau, broadcast on mainstream channel ARD, which is funded by licence fee payers, has created anger across the nation. Maria, the daughter of a high-ranking European Union official, was raped and drowned in the attack, which took place when she was on her way back from a party in October. TOO REGIONAL———-ARE YOU KIDDING. ??? A WOMEN WAS RAPPED AND DIED YOU COLD FISH. ARE YOU THAT DEAD.!! !